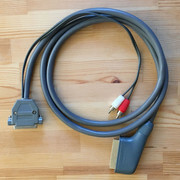 In addition to my Amiga Video RGB-VGA Adapters / Cables listed here, and as I still have some real 23pin conns and cases, I offer also these Amiga Video RGB-SCART Cables Deluxe. 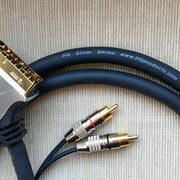 I call them Deluxe, because they are based on quality, robust, multiple shielded OFC quality SCART cable with nickel or gold plated connectors and and real Amiga 23pin conns and covers. 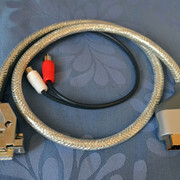 Cables use updated IAN's scheme and give perfect picture on both CRT and LCD TV's. 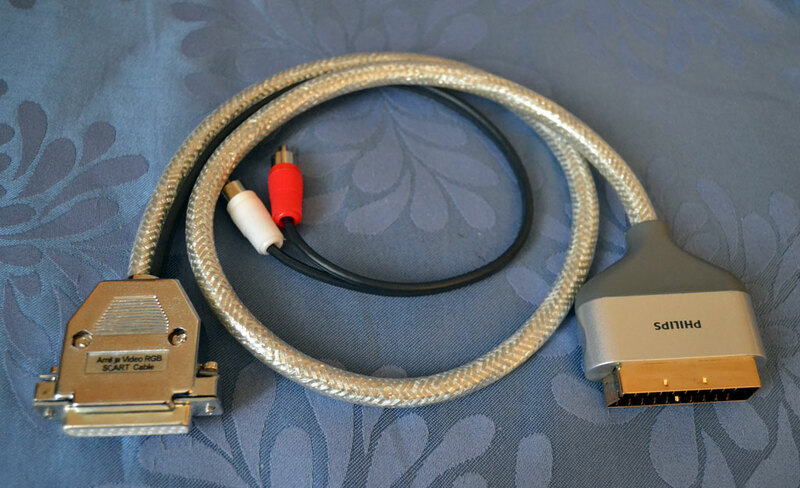 If your TV does not come with SCART you can use HDMI converters or an RGB-capable DVD-recorder as a video converter. Cables work perfect with OSSC and Framemeister XRGB video converters too. Price excluding shipping. Paypal gift/friend or SEPA banktransfer. Cable length at your choice from 0,5m up to 3m. 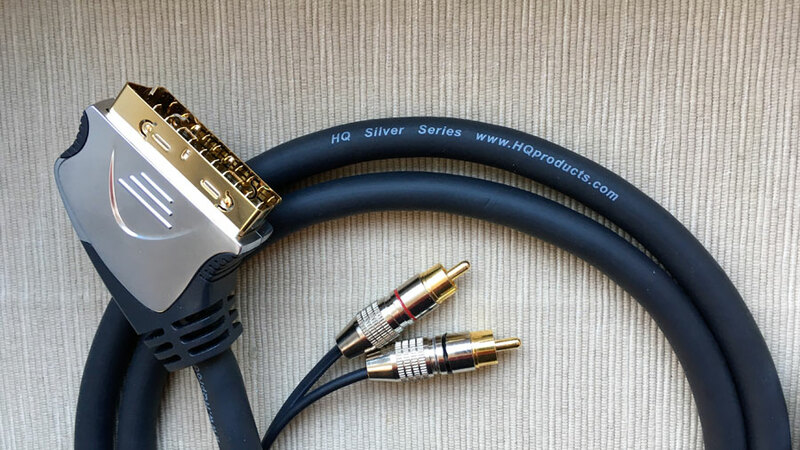 Cable can have gold-plated audio cinch conns instead of standard ones for extra + 1 €. Cable length at your choice from 0,5m up to 1,5m. Price for cable up to 0,75m is 22 €, for cable up to 1,5m is 23 €. Payment received from wmsteele, shipping later today. Payment info sent to cercamon. Cable for cercamon shipped today.